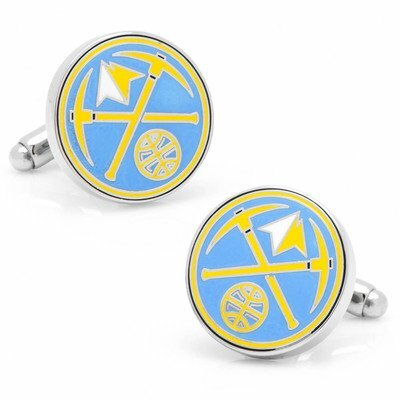 PD-DNUG-SL NBA Team: Denver Nuggets Features: -Cufflinks.-Celebrate the home team in style.-Officially licensed by NBA.-Bullet backing for easy application. Construction: -Constructed of enamel on a silver plated setting. Dimensions: -Dimensions: 0.75" H x 0.75" W.